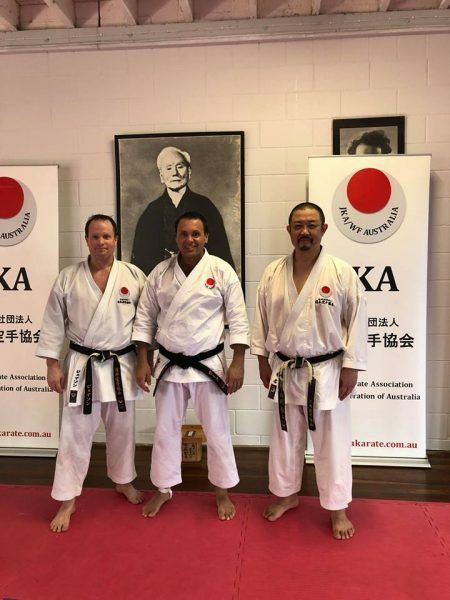 Bujutsu Martial Arts and Fitness Centre is affiliated with the Japanese Karate Association which is the oldest and largest karate association in the world! The Japanese Karate Association is widely considered as the world’s leading body on Shotokan Karate. Through our affiliation with the Japanese Karate Association, we are able to offer you internationally recognised grades. Sensei Mark travels to Tokyo Japan each year where he undergoes intense karate training at JKA headquarters. You never know when you might be faced with a situation that requires you to defend yourself. 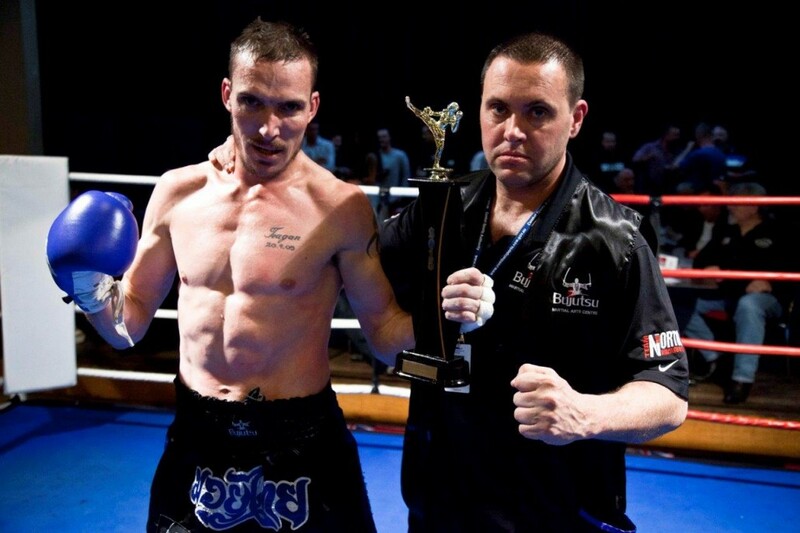 We teach our students how to defend themselves against a wide range of kicks, punches, knife and gun attacks. You’ll have the confidence to disarm an attacker. If you’re lucky you will never have to use your self defence skills, but having them could save your life. 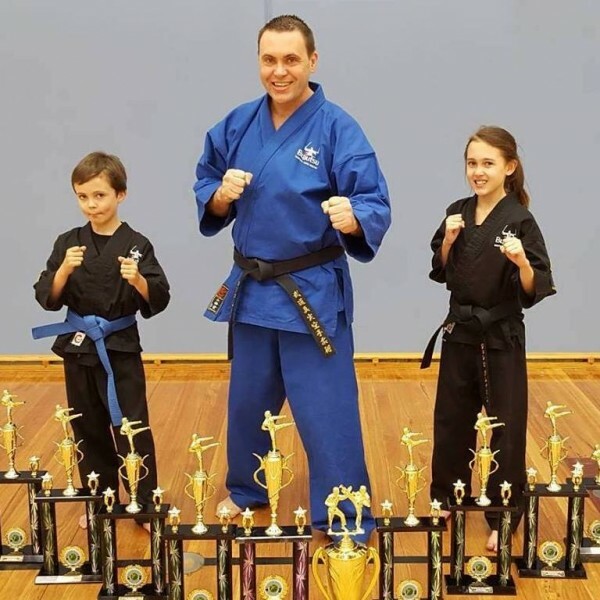 Many of the techniques taught at Bujutsu Martial Arts and Fitness Centre were developed by Sensei Mark in response to common attacks he observed happening in the community and to attacks he and other police officers were being confronted with on the streets. Bujutsu and Sensei Mark are members of the NSW Karate Federation and the Australian Karate Federation. 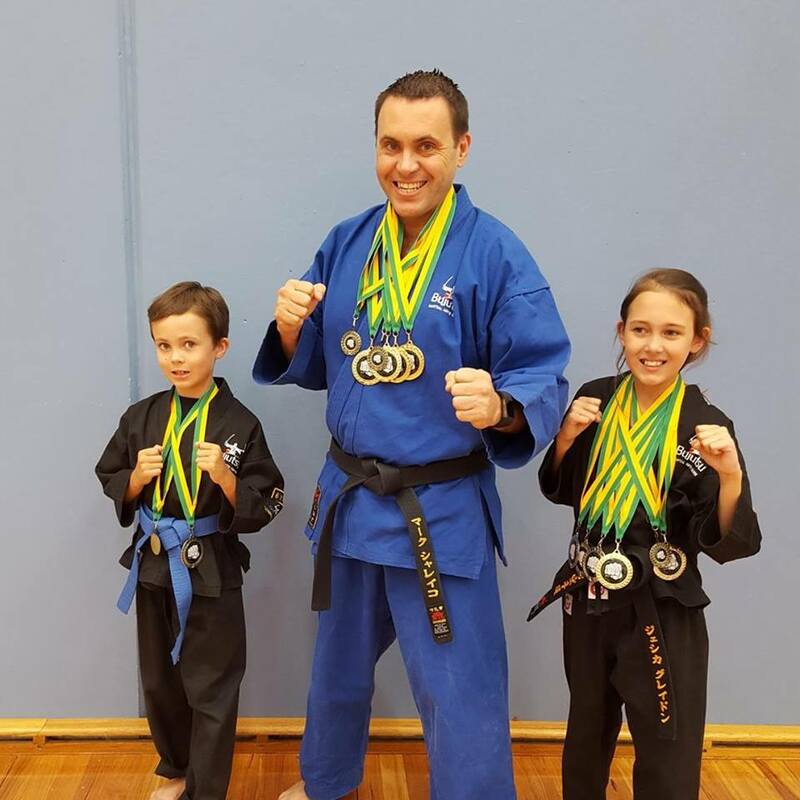 In fact, we are the only school in our area who are members of the NSW Karate Federation and the Australian Karate Federation. 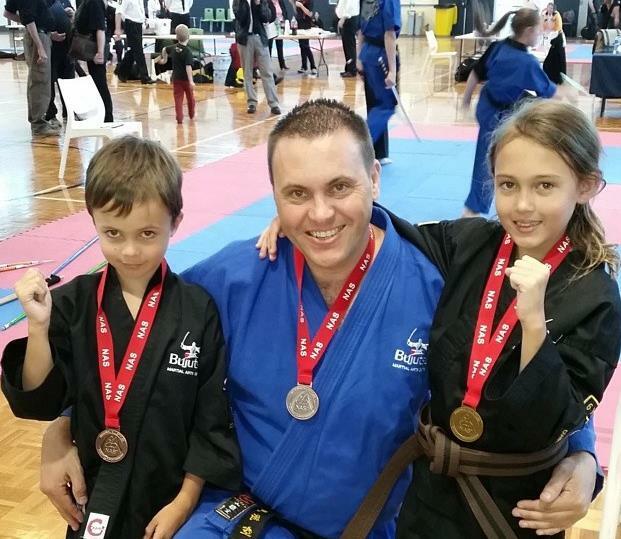 This means that Bujutsu students have the ability to make the NSW Karate Team and the Australian Karate Team. As you may know, Karate (both kumite and kata) will be in the Tokyo 2020 Olympic Games. Unless your school is a member of the NSW Karate Federation and the Australian Karate Federation, you have no path way to the Australian Olympic Team. 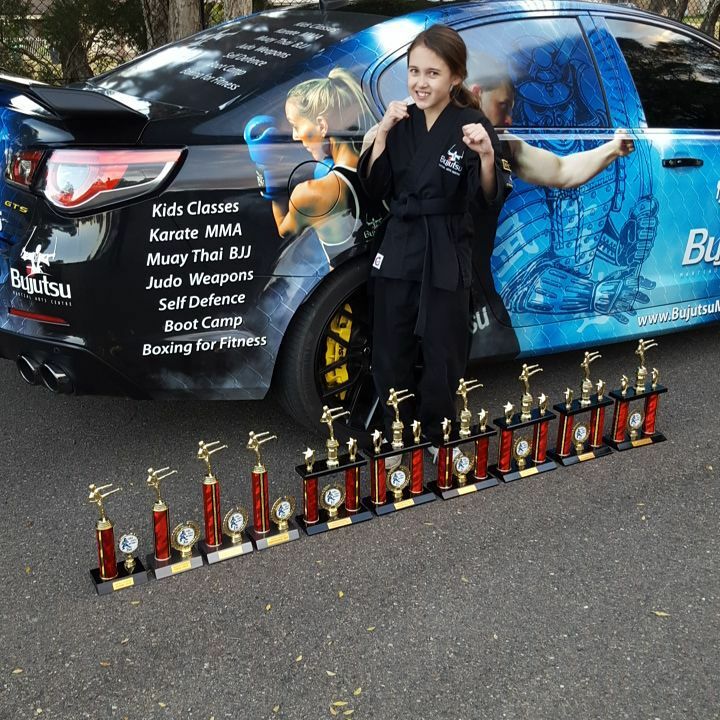 This is not a big deal to 95% of karate students, but it does highlight the standard and quality of martial arts training that we provide at Bujutsu. Regardless of whether you are interested in competition or self defence, if you want to be the best, you have to train with the best. At Bujutsu Martial Arts and Fitness Centre, we focus on realistic training that can be applied to situations that you might find yourself in when on street. Sensei Mark has been graded by Japanese Sensei to 4th Degree Black Belt in Shotokan Karate. 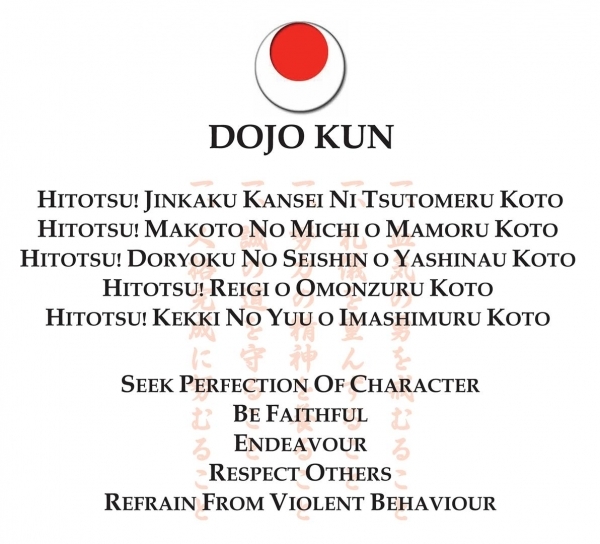 Our classes are Shotokan based, but have an emphasis on reality based self defence. Karate is a striking art using punching, kicking, knee and elbow strikes, and open-handed techniques such as knife-hands. 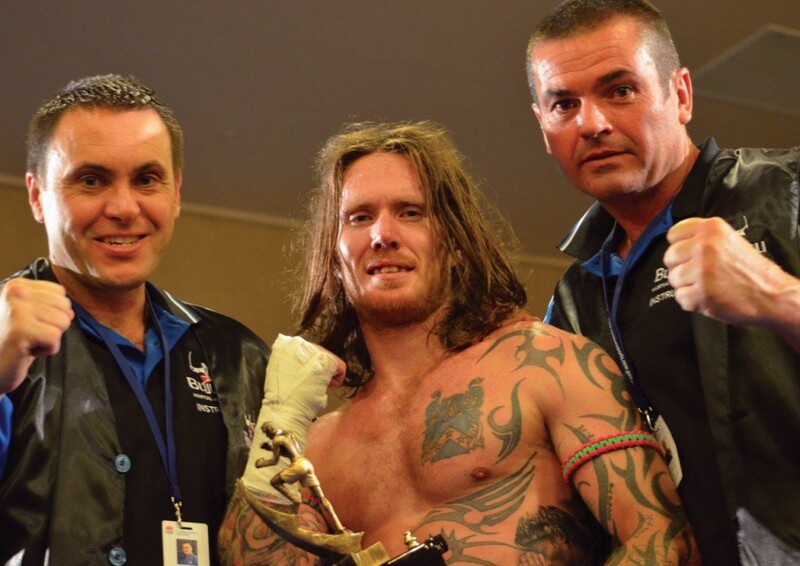 Grappling locks, restraints, throws, and vital point strikes are also taught. Another benefit of learning karate is the fitness aspect. Karate not only improves your mental ability, but it’s also a great way to increase your fitness level. Our classes contain a good balance between cardiovascular endurance and strength training. You will find yourself getting stronger, becoming more coordinated and flexible. 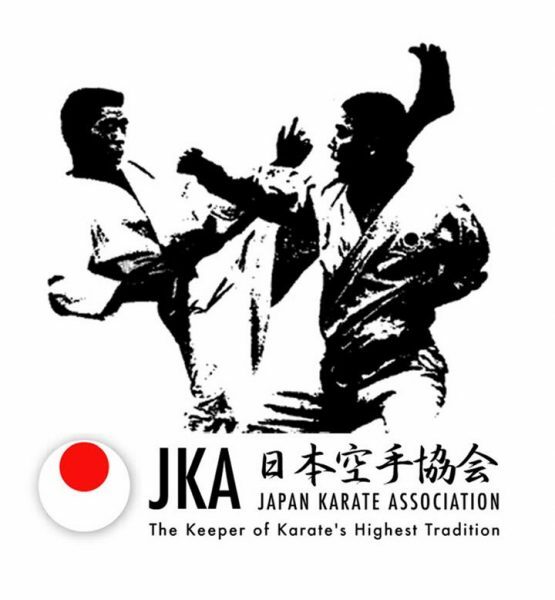 There are 27 Kata in the JKA Shotokan System. Video of the kata’s can be found here. Kyu gradings are based on 26 hours of training between grades. Dan gradings are based on an average of 4 hours of training per week. 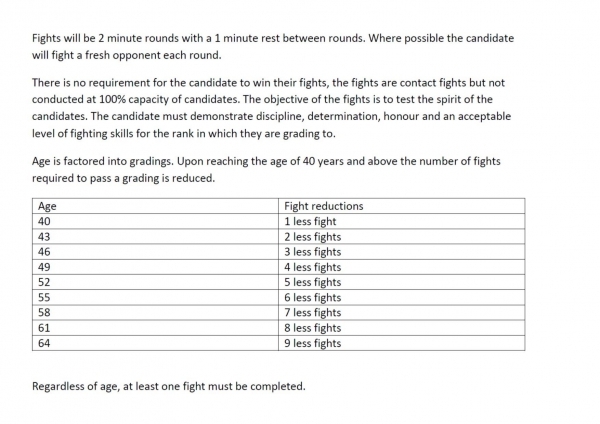 These are the minimum time frames to be eligible for grading. Grading is not automatic, you must also possess the appropriate level of skill and attitude. By way of one example, 1st Dan to 2nd Dan is one year of 4 nights per week, approximately 200 hours to be eligible. If you train 1 night per week it will take you 4 years to be eligible.